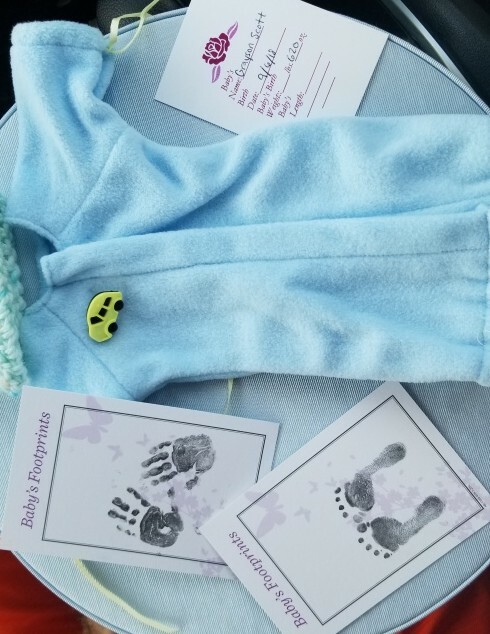 Baby Grayson Scott Stout, was born and died September 6, 2018 at Meriter Hospital in Madison. Paternal Grandparents, Rusty Stout of Elroy and Carol Spurgeon of Reedsburg. Great Grandmother Sandy Stanford of Wis. Rapids. And other aunts, uncles and relatives. A celebration of Life will be held for Grayson on Saturday, September 15, 2018, at Nishan Park at the southern shelter by the Veterans Memorial in Reedsburg from 1:00 pm until 5:00 pm.